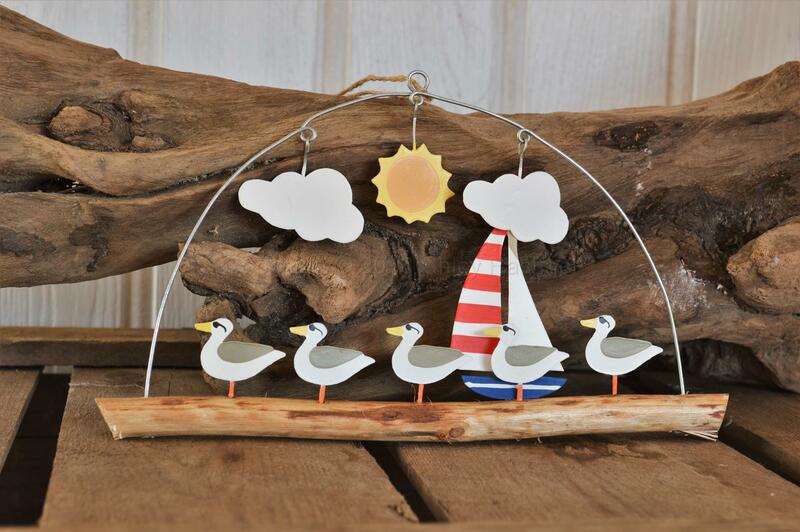 A very quirky seaside hanging decoration with little tin seagulls wearing sunglasses standing on a piece of driftwood. With a yacht and hanging cloud and a sun. 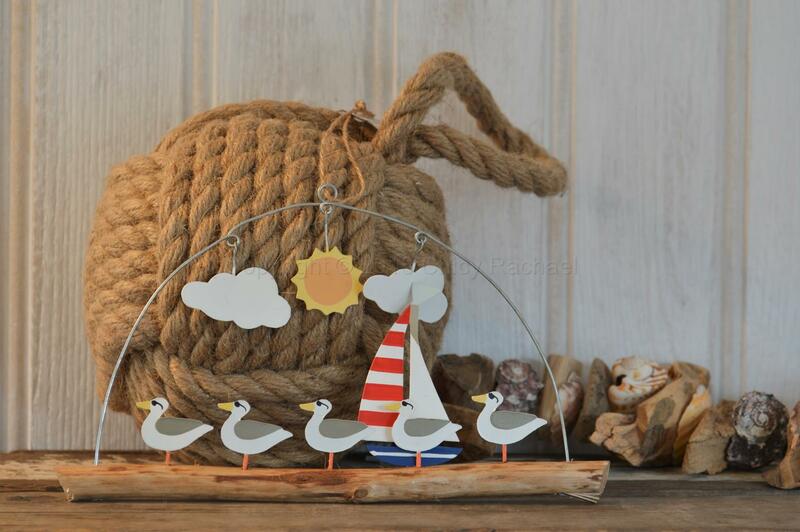 This adorable hanging decoration is the perfect finishing touch to any nautical themed room. 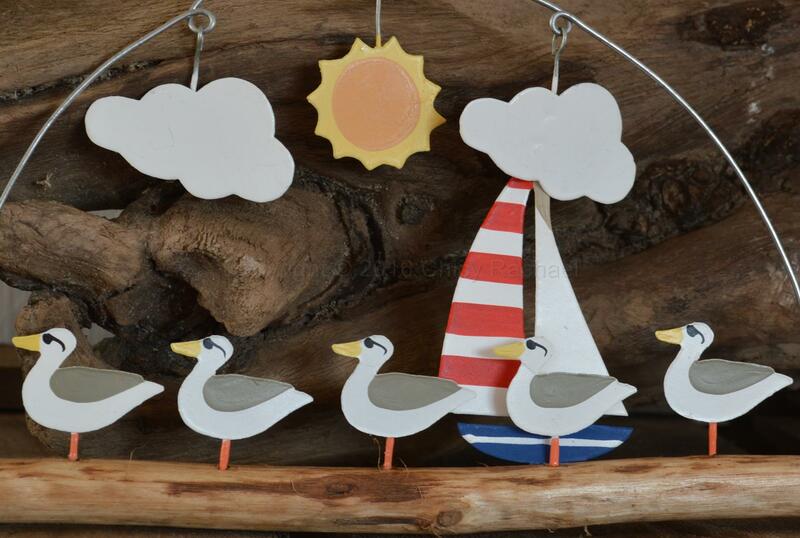 Please note that each one is different due to the nature of the materials used. The picture is an example of what you will receive.